Welcome to Term 1, 2019. We look forward to getting to know all our students in the Senior School. We also welcome two new teachers to our school and team, Ms Elle Sullivan and Ms Nicole Pearson. In Literacy, our focus is on developing and improving our reading strategies and understanding how to read a variety of texts and their purpose. We will continue to build on our vocabulary to improve our understanding of texts and working on finding meaning of unknown words in context. 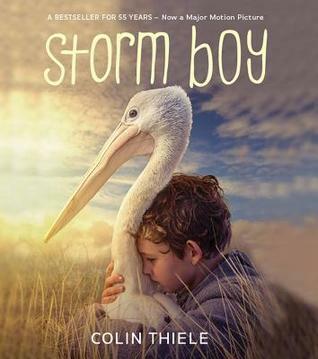 We are studying ‘Storm Boy’ as our classroom text, a beautifully written book by Colin Thiele, that will support our reading and writing of text. We will delve into how sentences are constructed to improve our sentence fluency and continue to develop on the idea of texts, in particular narratives and expositions. In Mathematics this term we will be working on place value, rounding numbers and building on our knowledge of decimals. We will explore factors, multiples, prime and composite numbers. We encourage every student to continue to work on their multiplication facts at home. Other areas of maths we will cover in term 1 are length, area, perimeter and probability. This term’s topic of work is focused on Rights, Responsibilities and Respectful Relationships, building strong connections with the students, teachers and community. The seniors are enjoying being buddies to the preps, and are supporting them in either PMP or participating in classroom activities.